A study of dogs across the adult lifespan has important lessons for owners of dogs of any age. They range from tooth-brushing, training, and helping dogs cope with traumatic events. 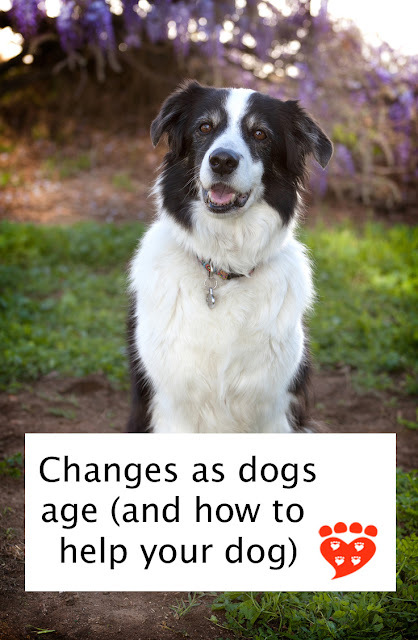 As dogs get older, they undergo changes similar to those that happen to humans as they age. 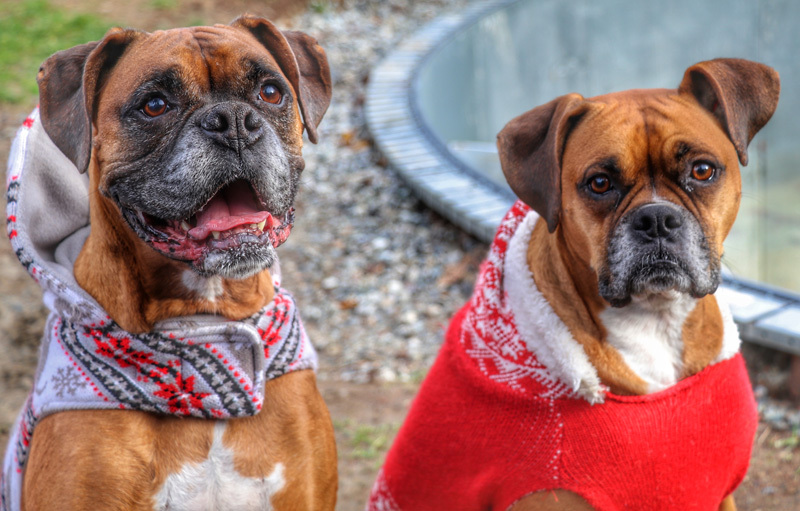 This means dogs may be a good model for human aging, but also that those of us with older dogs could use more information about how to help them age well. The Senior Family Dog Project is looking at cognitive aging in dogs by combining behavioural, genetic and neuroscientific approaches. A new paper from the team, first-authored by Dr. Lisa Wallis and published in Frontiers in Veterinary Science, looks at the demographics of dogs across the lifespan. Perhaps the most poignant finding is that dogs in the oldest age group (over 12) know fewer commands, take part in either one or no dog training activities, and spend less than 30 minutes a day engaged in play or other activities with the owner. Of course, older dogs may no longer ‘need’ obedience training as they are likely well-adjusted to family life, but these results suggest people could do more to engage senior dogs in fun activities. It’s not known why the oldest dogs know fewer commands, as it could be the dogs had previously had less training, had less training at the time (causing them to forget commands they previously knew), or memory issues. Dogs in the oldest age group also had less than 30 minutes a day of off-leash activities, which may reflect changes in their need and interest in exercise. Older dogs were more likely to be unhealthy, have joint problems, tooth problems, and sensory decline. Loss of hearing and/or vision was significantly greater in dogs over 12 years compared to the 10-12 year age group. In the youngest age group (1-3 years), 49% of the dogs were described as healthy, falling to only 5% of dogs aged over 12 years. Being overweight or obese is linked to many health risks for pet dogs, including a shorter life span and a greater risk of diabetes mellitus, urinary incontinence, and osteoarthritis. In this study, dogs aged 3-6 or 8-10 years were more likely to be rated as unhealthy and/or to have sensory problems if they were overweight or obese. Being underweight was not linked to being unhealthy. As dogs got older, they were more likely to be overweight. Do mixed breeds live longer than purebreds? The oldest age group in the study contained more mixed breeds and fewer purebreds, although it’s important to remember this is cross-sectional data and did not follow dogs through the lifespan. For example this may mean mixed breeds live longer, but it is also possible it reflects sampling issues or trends in breed popularity over time. Purebred dogs were said to be unhealthy at a younger age than mixed breed dogs, suggesting that (at least for this sample) mixed breed dogs are healthier. One of the most interesting results of this study relates to the role of trauma in shaping a dog’s behaviour. Dog owners were asked if their dog had ever experienced trauma (which the researchers called "trauma status"). They were also asked if they thought their dog's behaviour had changed following a traumatic event. Dog owners were more likely to say the dog’s behaviour had been affected by trauma if the dog had experienced one or more traumatic events. This was especially the case if the dog had experienced two or more traumatic events. Traumatic events included changes in owner, time spent at a shelter, being lost for more than a day, changes in the family (such as the birth of a child or people moving out), and a traumatic injury, long-term disease or surgery. 43% of the dogs had experienced at least one such event. Dogs that had experienced a traumatic event were more likely to be unhealthy. It’s worth noting that moving house, becoming pregnant or being mated, spending more or less time alone, having a change in the dogs in the household, or being neutered, did not contribute towards this trauma status. The survey of Hungarian dog owners looked at 1,207 adult dogs across six age groups: 1-3 (early adulthood), 3-6 years, 6-8, 8-10, 10-12, and 12 and above. Depending on the breed/size, dogs become seniors between 6 and 10 years of age, as large dogs tend to have a lower lifespan. 34.5% of the dogs were mixed breed and the remainder were purebreds. The most common breeds in the study were Labrador Retrievers, Hungarian Viszla, Golden Retrievers, Yorkshire Terriers, Dachshunds, German Shepherds, Bichon Havanese, Border Collies and Beagles. Although the sample is not representative, it does seem likely the results will apply to senior dogs quite broadly. Overall, the mixed breed and purebred dogs had roughly the same average weight and height (important because size of dog is linked to longevity), but there was greater variation in the purebred group. 65% of dogs were said to be of normal weight, but since this is based on owner's ratings it is possible the rates of overweight and obesity are an underestimate, as found in other studies (Rohlf et al 2010). 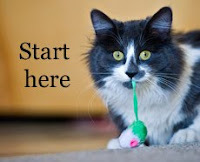 It’s also worth noting that, unlike some other research, the neuter status of the dogs was not linked to health. This research has a number of important implications for dog owners. One is to keep your dog to a healthy weight, because overweight and obesity cause health problems just as they do for humans. This includes adjusting the diet, as senior dogs need fewer calories and a different food composition. And because health problems are more common in old dogs, it’s important to see your veterinarian to treat the problems and troubleshoot ways to help your dog be more comfortable (such as mobility aids). Another implication for dogs of all ages is to do what you can to help them cope with stressful or traumatic situations. Changes in family composition cannot be helped, but even if this is a stressful time for the humans, they need to help the dog adjust too, for example by helping the dog prepare for the arrival of a new baby and being kind if the dog seems to be grieving for someone who has passed away. 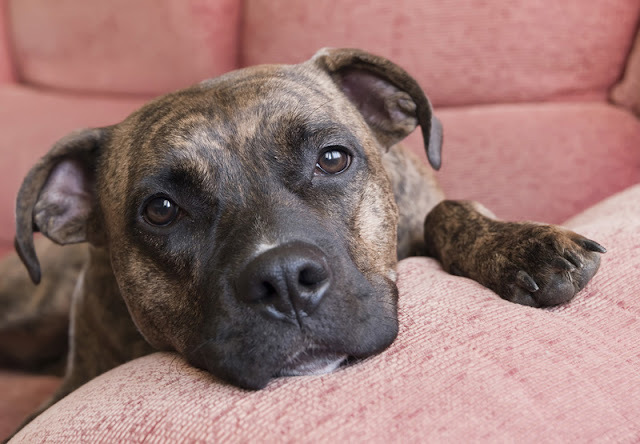 If your dog is fearful, see 8 tips to help fearful dogs feel safe. To help avoid the dog being lost for more than a day, you can teach a great recall and ensure your dog always has up-to-date identification including a microchip. 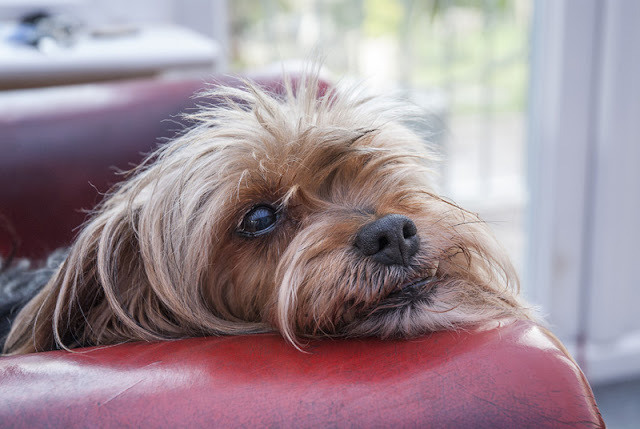 If your dog has a traumatic medical issue such as major surgery or injury, make sure you speak to your veterinarian about what can be done to help your dog whilst recovering at home. The book No walks? No worries! : Maintaining wellbeing in dogs on restricted exercise by Sian Ryan and Helen Zulch has some great ideas for dogs who are unable to take walks e.g. because of recent surgery. Earlier research found a history of lifelong positive reinforcement training protects dogs against cognitive decline as they age. It seems like a good idea to keep up such training as an enrichment activity throughout the dog’s life. 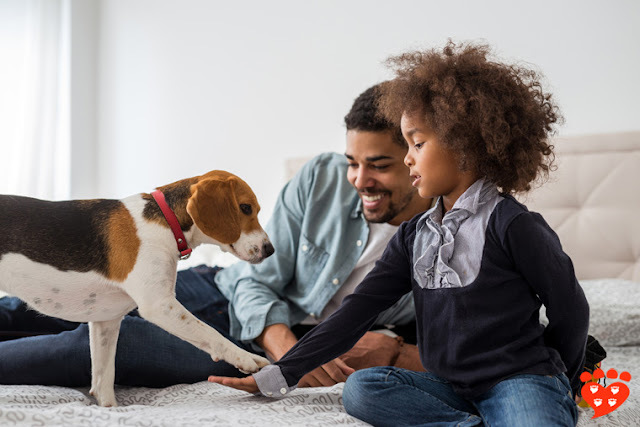 If the dog is already perfectly well-behaved, you can always teach tricks or do other activities using positive reinforcement. Regular tooth-brushing will help to reduce tooth issues that are more often found in senior dogs (and is also good for health). Finally, continue to involve older dogs in walks, family life and fun activities. This is an interesting study that tells us more not just about older dogs but also about the deleterious effects of trauma and stress. The results show older dogs have less time spent training, less activities with the owner, and less off-leash time. They also show guidance is needed on how to care for senior dogs, as well as on helping dogs to stay a healthy weight. Research by the team is ongoing, so we can look forward to more findings in due course. If you happen to have what the Senior Family Dog Project calls a ‘Methusaleh dog’ – one who weighs over 20kg and is aged 16 years or more, or who is under 20kg in weight and 20 years old or more – they would be grateful for a sample of your dog’s DNA for their research. You can read more about it here. The paper itself is open access if you want to read it in full, and the authors have also put up a blog post about their research.